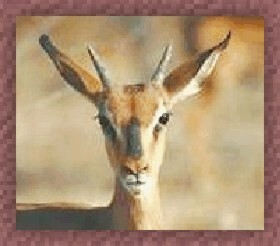 The significance of an antelope is swiftness of movement. When you rise with the vital from its lower reaches and join it to the psychic, then your vital being fills with the pure aspiration and devotion natural to the psychic: at the same time it gives to the feelings its own abundant energy, it makes them dynamic for the change of the whole nature down to the most physical and for the bringing down of the divine consciousness into earth matter. When it not only touches the psychic but fuses with the higher mind, it is able to come into contact with and obey a greater light and knowledge. Ordinarily, the vital is either moved by the human mind and governed by its more or less ignorant dictates, or takes violent hold of this mind and uses it for the satisfaction of its own passion, impulses or desires. Or it makes a mixture of these two movements; for the ordinary human mind is too ignorant for a better action or a perfect guidance. But when the vital is in contact with the higher mind, it is possible for it to be guided by a greater light and knowledge, by a higher intuition and inspiration, a truer discrimination and some revelations of the divine truth and the divine will. This obedience of the vital to the psychic and the higher mind is the beginning of the outgoing of the yogic consciousness in its dynamic action upon life. His march now soared into an eagle's flight. There gleamed the dawn of a spiritual day.